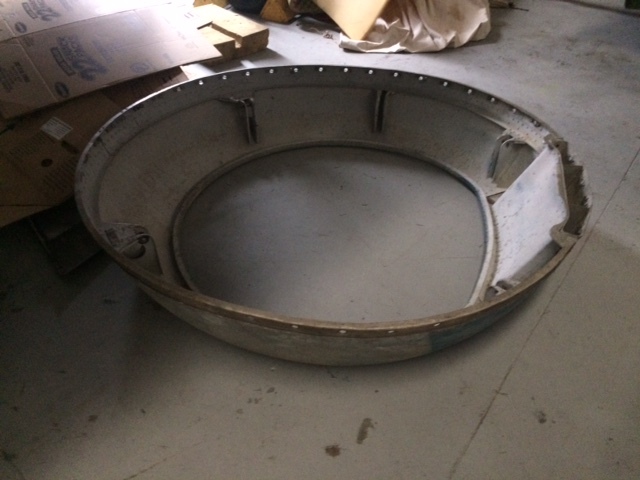 "A couple of photos of some of the parts we have received to date for 2539. Plenty more to come yet." Interesting that some of the panels are completely roached to the point of being gone, but the surrounding structure is still well coated in cromate and looks (at least from the photos) relatively sound. 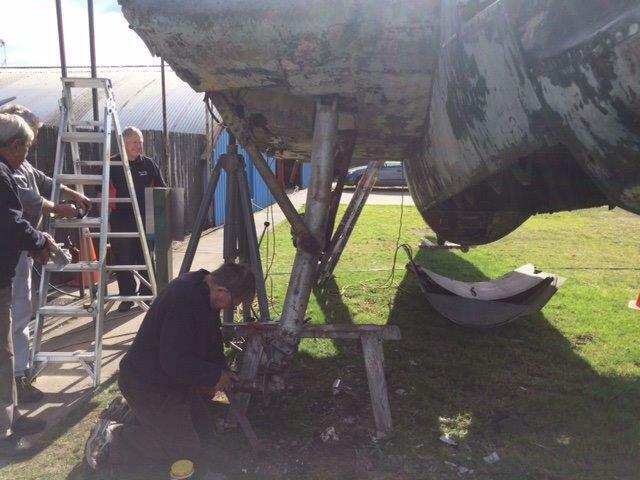 Will be great to follow the progress as this old girl get the TLC she deserves! Wish I was close enough to lend a hand! Ahhh so she was in the all over black and yellow striped scheme. I see the central fuel tank that lived in the centre section is still there. Stuffed by the looks of it. When we used to run 04 we used the centre tank and one of the outer tanks (left I think). All three tanks lived in the centre section. You could only put so much fuel in the centre tank as if you put too much it leaked. 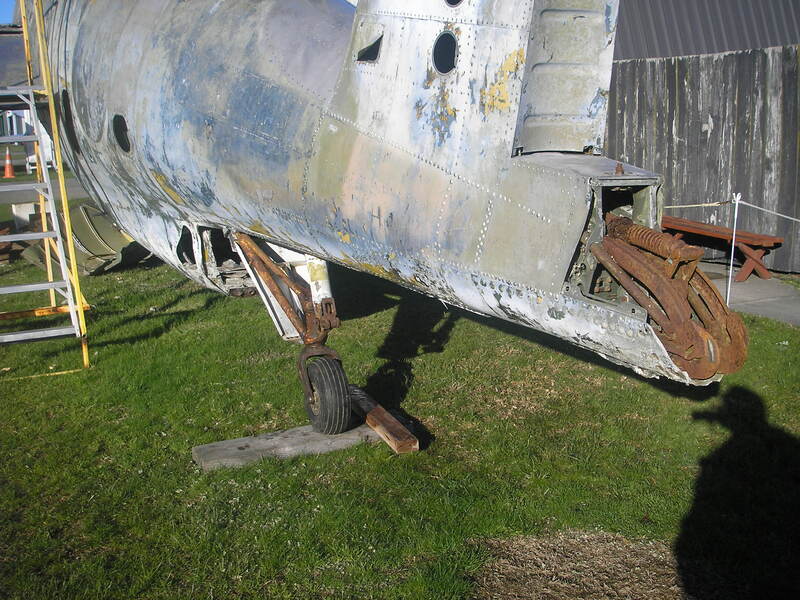 Yes being built as a Naval aircraft probably helped save a lot of structure. Paintstripping 04 we found the original US colours the hardest to strip off. Shorty's house paint melted in seconds. Good to see there are more bits of her to come and looks like a good ring cowl. I see flap sections there too. Looking forward to seeing the wings. This is evolving into a really interesting thread! These photo's are brilliant. Great to see the concrete appears to have come out without destroying too much of the structure it sat in. AVGAS small in the cockpit. Now were did the fuel to run 04 come from, well that is a very interesting yarn! Thanks to Dave for posting the photos for me. I will keep them coming as we progress thru the restoration. I have some more photos from today that I will send to Dave to post up. Great to see the photos of 2539 at Bennett's. If only we could have put our hands on the aircraft at that stage !!!!! The whole centre section skin has rotted away and the bag tanks are stuffed so we have cut them out. In 05 we built a metal tank (about 30 litres) that sat in the port centre section and ran a feed pipe to the engine. 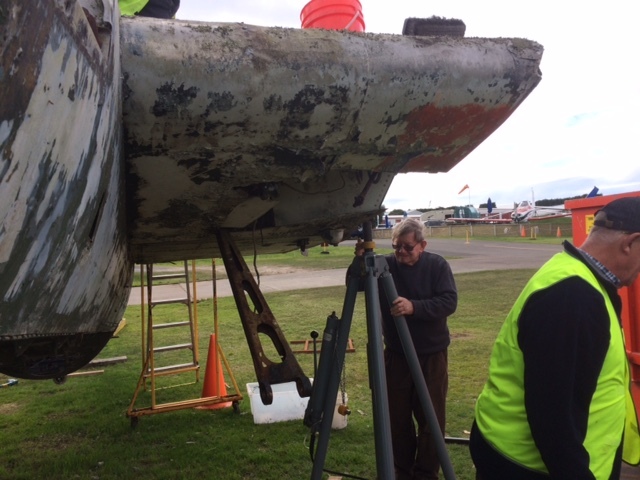 The port u/c leg is now out and lying on the ground and they are working on the starboard one. We are all looking forward to seeing what else is available for the aircraft - the parts that have arrived are a god send as I would hate to have to try and make some of them. Yes the concrete came out relatively easily with no extra damage and you can see that the inside area is in relatively good condition. 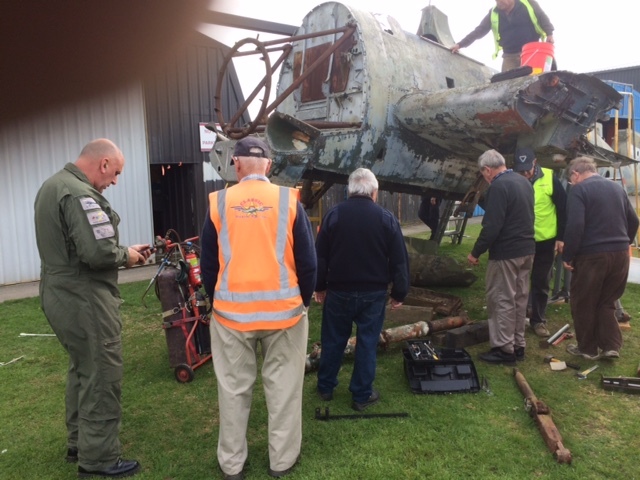 During the course of today I observed worked being done on the tail wheel assembly and noticed it can be turned now and has a wheel and tyre fitted. The main gear is a priority now so to be able to easily rotate the aircraft once it is in the hangar for the major refit. Gotta say I'm really impressed with the efforts made this early in the process to keep us enthusiastic supporters, far and wide, up to date. A big thank you from me/us? Hear hear. It really is wonderful to see these updates, right from the very beginning of a restoration. When parts are stuck solid (after 70 odd years) then some heat from a welding torch plus CRC and then a heavy mallet works wonders. Nothing like some great weather and an old aeroplane to work on to make you sing and think that all is well with the world. I am in heaven down there. 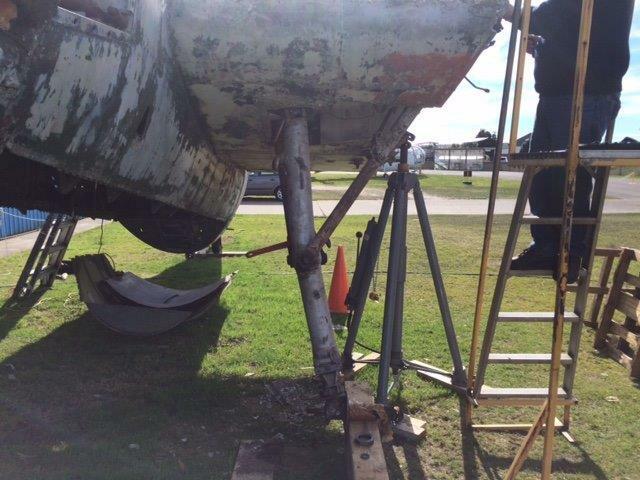 I am trying to document the restoration so will keep photos flowing to keep you all up to date. Have just sent another batch to Dave (thanks Dave) to post up here. 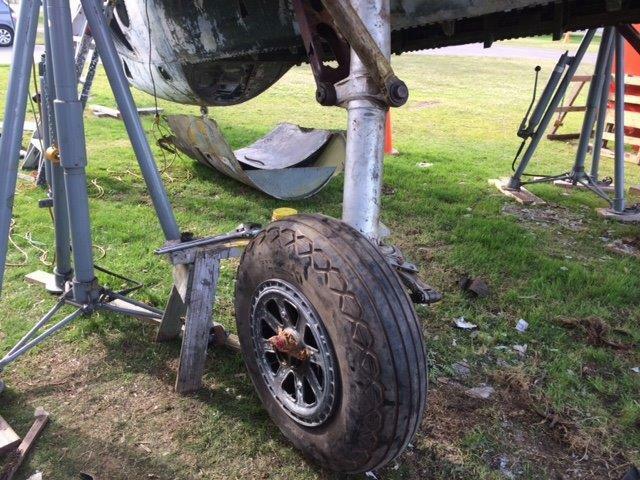 Both u/c legs have now been replaced and one main wheel is on. The tires look to be new with moulding marks in the rubber so they will last a while. 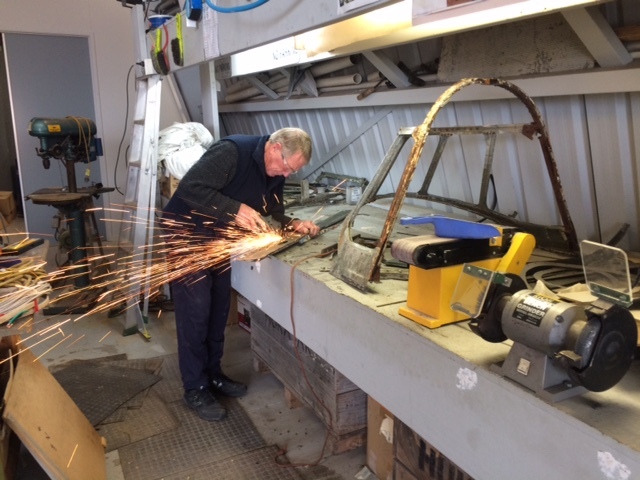 The experts in various areas are quietly taking parts off and starting to refurbish them (hydraulics Bob and canopy Lance). When it finally comes inside the rest of us will descend upon it and start work. 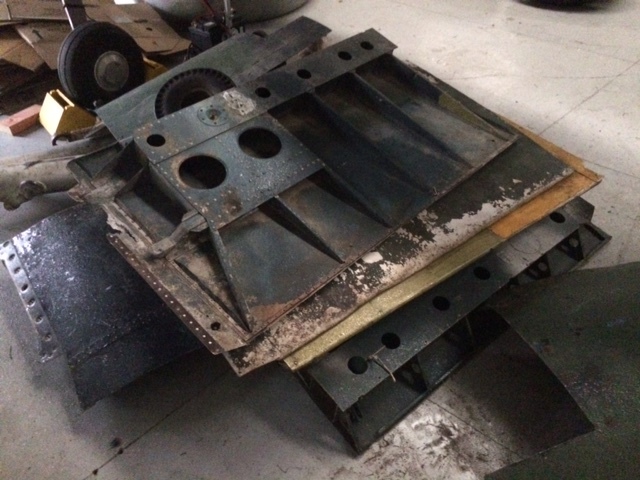 I'm currently putting together my memories of the restoration of NZ2504 for a possible article (seeing the good work done collecting memories on here made me think it would be awful to get too far down the track and forget too much!!). 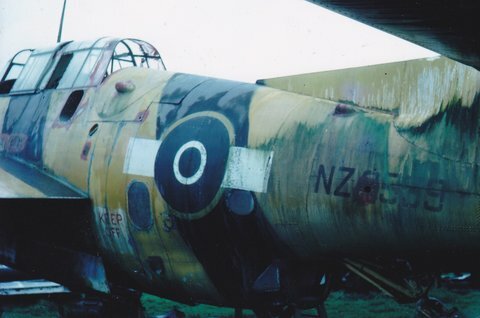 One striking thing is how complete NZ2504 was (although there were a few things stripped out by the RNZAF) compared with NZ2539 and although there was a few bits of corrosion on her, nothing close to what you have to deal with! Yes this is my favourite thread at present and I look forward to seeing her become whole again. Hi baz62, I have several colour images of RAF Comet XK695 at Ohakea circa 1956. 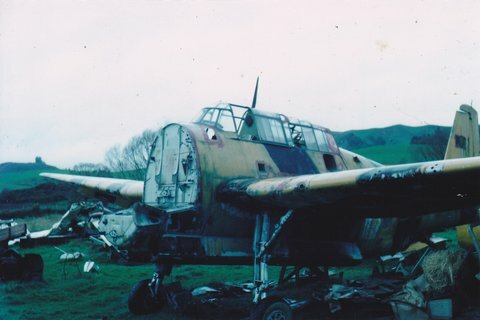 Included in the lineup are Vampires NZ5766 and another unidentifiable, Devon NZ1801, an unidentifiable P51 and Harvard and Avenger NZ2504 which i assume was still airworthy at that time. Agreed, a great thread. Prob my fave also. I don't suppose someone could get some pics of that rear turret fairing could they? I would be grateful for some of those. 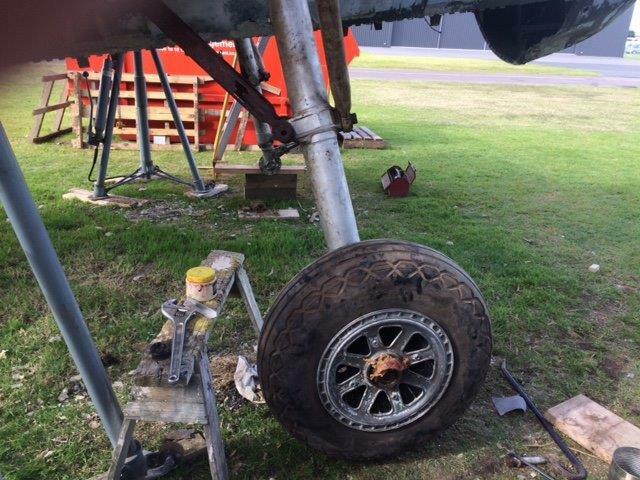 Both u/c legs have now been replaced and one main wheel is on. The tires look to be new with moulding marks in the rubber so they will last a while. 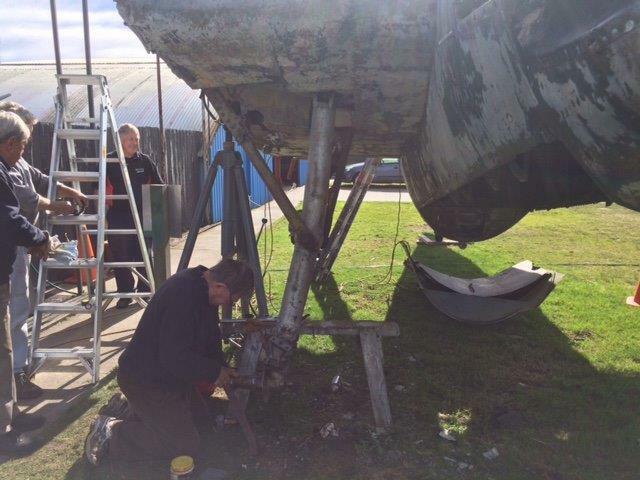 The experts in various areas are quietly taking parts off and starting to refurbish them (hydraulics Bob and canopy Lance). When it finally comes inside the rest of us will descend upon it and start work. 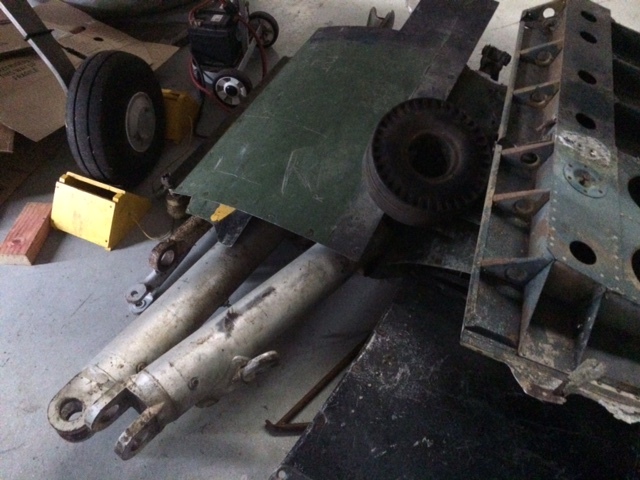 The main leg retraction actuators were still mounted up in the wheel bays. 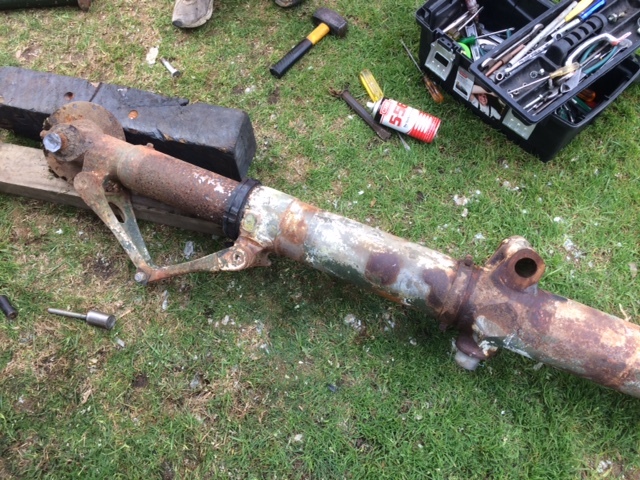 If they can be overhauled you might be able to get that hydraulic circuit working too, once the structure is repaired and strengthened there. 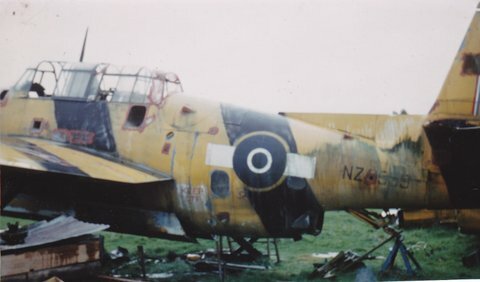 Included in the lineup are Vampires NZ5766 and another unidentifiable, Devon NZ1801, an unidentifiable P51 and Harvard and Avenger NZ2504 which i assume was still airworthy at that time. Yes most likely still flying. I recall seeing a photo taken by the RNZAF of a 42 Squadron formation comprising Avenger, Dakota Mustang Devon and I think a Harvard too. Pretty sure the Avenger was 2504. Love to see your photo. What exactly are you looking for - the ali fairing that goes over the space where the turret was ? 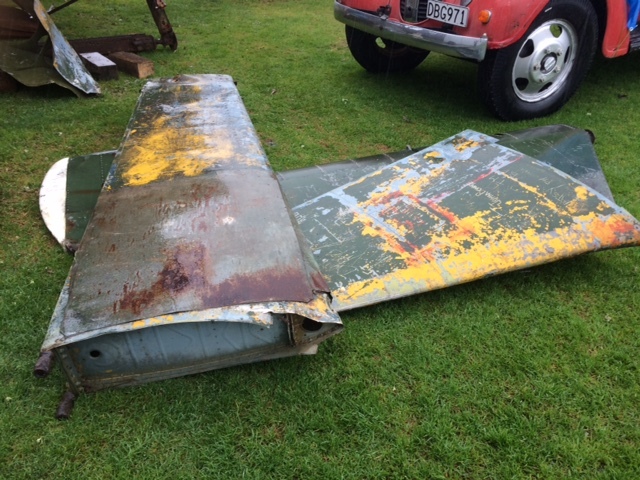 We have taken the steel sheet off 2539 and have put it away to use as a pattern if needed.